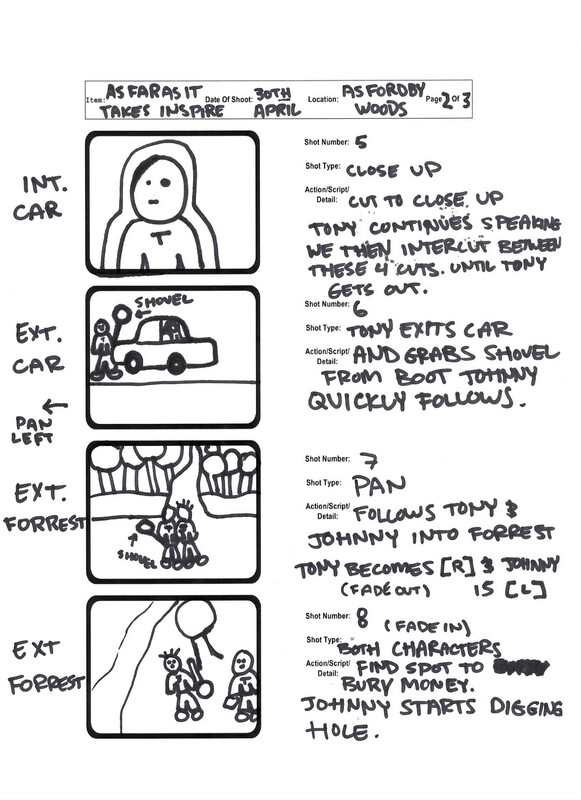 For this task you are required to create a short fiction production for entry into the 2013 Inspire Film Festival. In order to assist you with your idea your lecturer will provide you with three key components; an item, a location and a phrase. It is important that these components are effectively included in the narrative and also that they have a significant contribution to the structure of the narrative. For Example, the item should have a key role in the narrative and not just be on show in the background – it needs to be there for a reason. Secondly, the location needs to be used for a reason, not just part of the background with no significance – any location could be used. 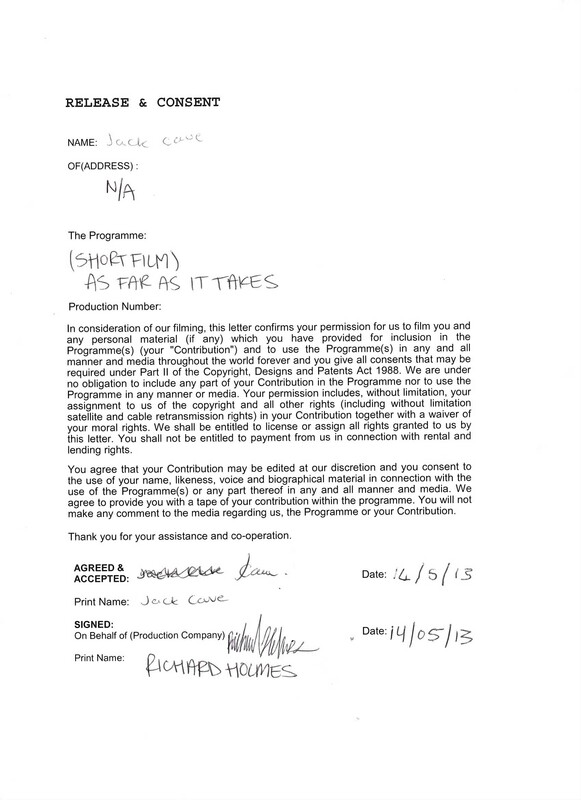 Finally, the phrase needs to be a key part of the script, so not just a radio recording in the background or a conversation by two extras. 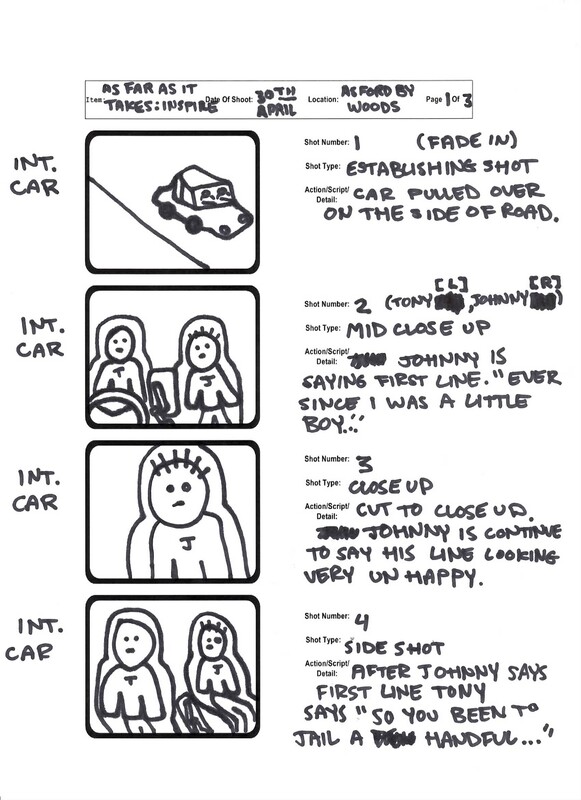 “So how do we proceed?” Firstly you need to come up with an idea for a short fiction film. This will require research, planning and the development of a script (in an appropriate format). Once you have an idea you will be expected to pitch your proposal. This can be conducted in a variety of ways and the choice is up to you – video pitch (KickStarter style), PowerPoint presentation or and audio recording. Whichever choice you make your proposal should be accompanied by a paper based written proposal. Once your pitch/proposal has been delivered you will then be expected to continue with your pre-production, production and post-production –providing evidence of the progress you make and also keeping an up to date Reflective Learning Journal (RLJ). Your finished video should be between 5 – 10 minutes in length. 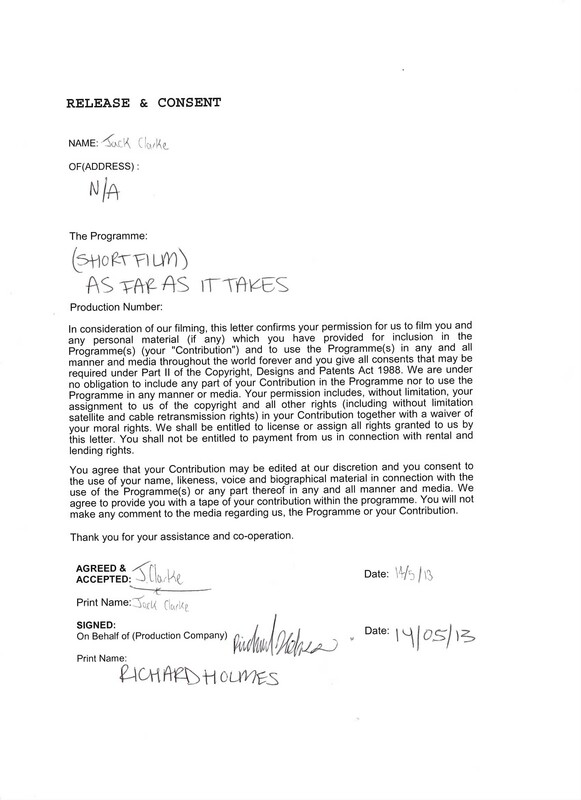 Above are release and consent forms from both of the actors that played a role in the video as well as the script and storyboard for As Far As It Takes. 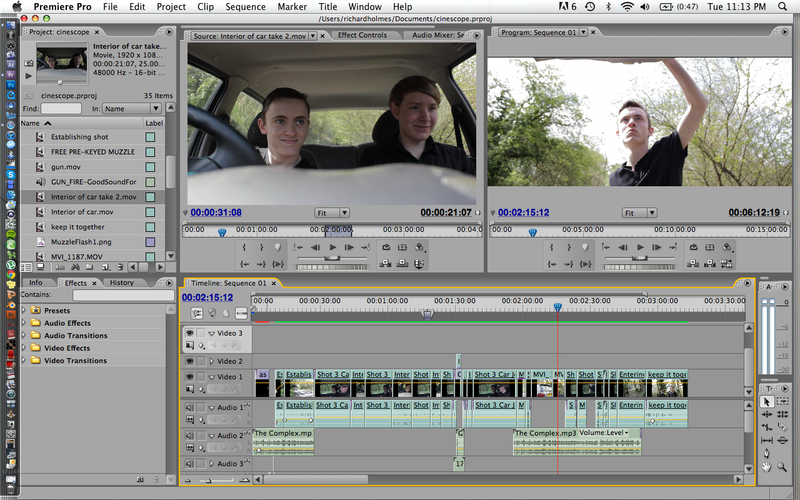 I edited this video in Adobe Premier Pro CS3, Above is the completed first half of the video. It took two and a half days to film. We also had to cancel a day of filming due to weather, and another day because the actors had prior engagements. Below is a bit of the footage (as there was loads) and I gave each clip a proper title I could remember while editing and I colour coded them from red to green based on quality. 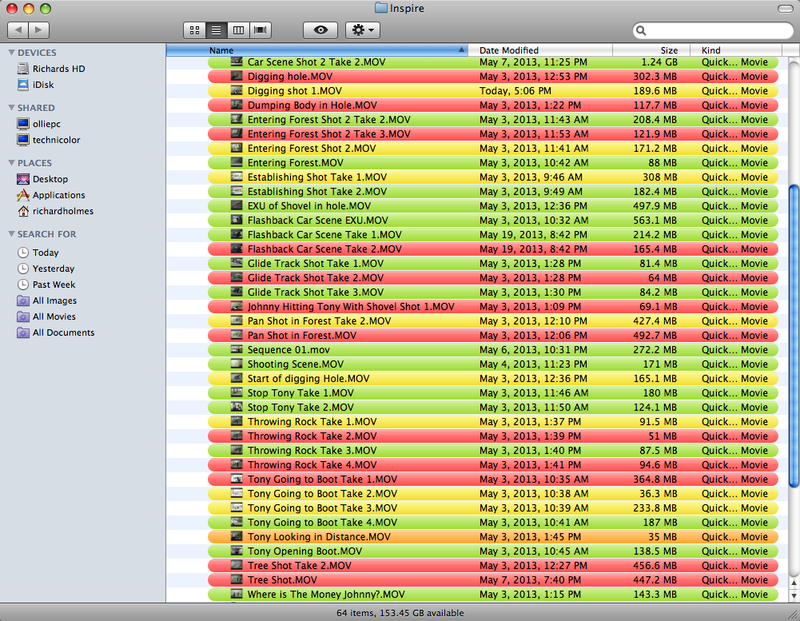 This helped the editing process and made it much easier to find and navigate through them. 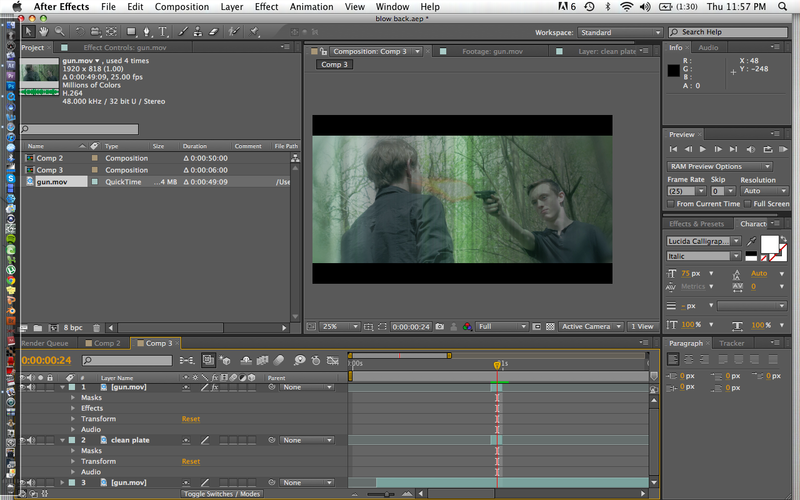 Below is a screenshot from Adobe After Effects CS5, where I made the gun a bit more realistic as it was just a toy guy. I gave it a muzzle flash and gave the gun a bit of a recoil as well. Since this little scene is a premonition, I played with the blue and green gamma to make it more of a dream like state. I also made a duplicate layer which I brought up the light areas in the frame using individual levels and then put a vertical fast blur with them. I blended them together and blurred the corners of the film using a mask. 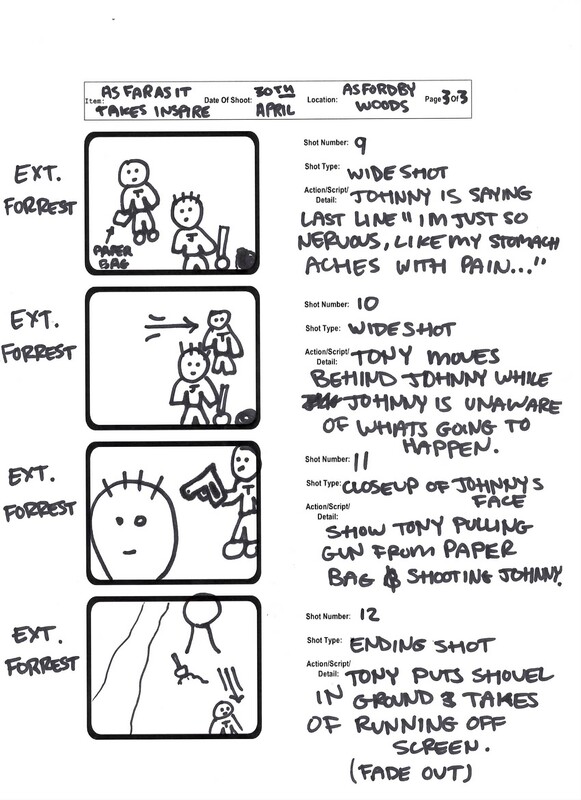 This effectively gave me what I needed for this scene.